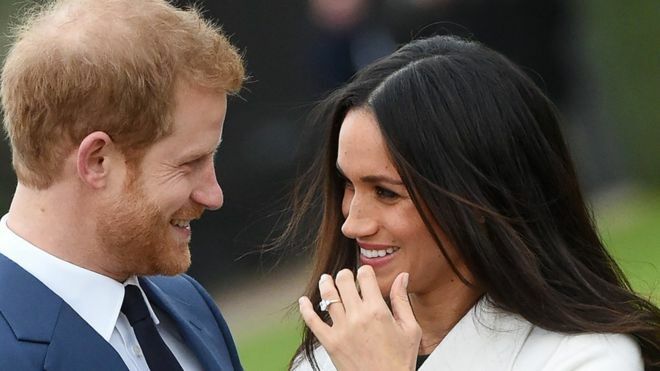 It’d take a long time to get over this fairy tale between Meghan and Harry. Oh and by the way, my choice of Aquazzura didn’t make it as her wedding shoes, but we did get a place for the reception party. Now that she is the Duchess of Sussex, Meghan has a whole lot of rules to follow, to keep in line with the monarchy. Here’s a run down of some of the Royal Rules laid down by the Queen of England, some of them got me like ooooookkkk but hey, it’s royalty. I know she’s had to take down her blog and social media pages since they got engaged. Paying closer attention to this now, i’m trying to imagine a life without this blog. Oh well, i guess love conquers all. This one got me laughing. Always be ready for death i guess. No time to waste, you hear of the death, you fall in line, ready to mourn…lol! This has some kind of Nigerian, African feel. So Meghan has to curtsy to any one with a higher ranking anywhere she meets them. She’s a pleasant girl, that shouldn’t be difficult. Of course as royalty, you’re not supposed to cross your legs, so there’s the Duchess pose to bail you out. Apparently, the Queen HATES wedges, so no wedges for Meghan ever again. I’m not sure she’d miss them so much, she’s a pump lover and that would do just fine. For as long as you’re dining with the queen, dinner time is 8.30, so Meghan better always be on time. This would make me happy. Meghan always has to sit next to Harry at any gathering. There’s an order in which they must always enter a room. The Queen , Prince Charles, Camilla, Prince Williams and of course Harry then Meghan. The Queen hates shellfish, so no one is allowed to eat Shellfish when offered in a gathering. And there’s a whole lot of other rules from where these came from. Gone are the days of ripped jeans and little black dresses, red nail polish and going on set to shoot. The media shamed her for this one. I don’t know if reality has set in yet or if she’s still basking in all the euphoria of being the latest Cinderella. I am extremely happy for her and even more happy that she has a rebel in Harry, that’s more than enough assurance for her that once in a while or more often than not, they can get naughty together. Gosh, they’re way to cute together, i can’t wait to see their babies. Her first Royal outing , 70th Garden party for Prince Charles.